Reiki Sessions & Classes The Infinite Light Center Reiki Program offers individual Reiki sessions and all levels of Reiki training. Usui Reiki is a Japanese system of stress reduction and relaxation that also promotes healing. It’s gentle yet effective and works in conjunction with your current health care program. Reiki is also one of the only energy healing modalities you can learn to practice on yourself. So if you want to take your health care into your own hands, ask us about our Reiki training program. Information: Contact Mary Riposo, PhD, RMT at 315.416-7270 or mriposo@infinitelightcenter.com. 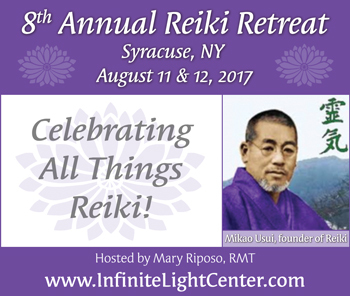 8th Annual Reiki Retreat Infinite Light Center is proud to host the 8th Annual Reiki Retreat on August 11 & 12, 2017. Reiki practitioners will be treated to informational presentations and demonstrations, Reiki shares, great food and good company in a retreat-like atmosphere. Information/Registration: https://clients.mindbodyonline.com/classic/ws?studioid=192746&stype=-8&sTG=30&sVT=11&sView=day&sLoc=0&sTrn=3&date=08/11/17 https://clients.mindbodyonline.com/classic/ws?studioid=192746&stype=-8&sTG=30&sVT=11&sView=day&sLoc=0&sTrn=3&date=08/11/17 or contact us at 315-373-0626. We’re now offering Nia classes with Kathleen Crinnin! Combining dance, martial arts and mindfulness, Nia tones your body while transforming your mind. More than just a workout, Nia is a holistic fitness practice addressing each aspect of your life – body, mind and soul. Nia is based on the intelligent design of the body. Each workout brings mindfulness to your dance movement experience leaving you energized, mentally clear, and emotionally balanced. Nia combines dance, martial arts, and healing arts to get you fit in 60 minutes – body, mind, emotion, and spirit. Nia is non-impact, practiced barefoot, and adaptable to individual needs and abilities. With Nia, every person can discover,. 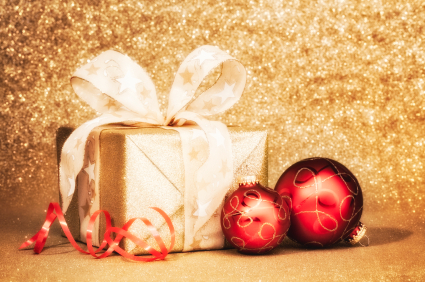 Infinite Light Center Holiday Shops Sunday, November 12, 2017 10 am – 4 pm Do you still have holiday shopping to do? Are you sick of the long lines and heavy traffic? Are you looking for “one of a kind” items you can’t get at the mall? Then make sure you SAVE THE DATE for this special event! You’ll find: • Unique and “one of a kind” gifts • Items by local artisans & craftsmen • Gifts for those “hard to buy for” people on your list Enjoy refreshments while you shop and sample our wellness services! FREE (open to the public) Find a list of the vendors here: www.InfiniteLightCenter.com/Holiday-shops Information: 315-373-0626. Infinite Light Center offers Pilates Series classes with Sue Valerino, PT, RYT. The Pilates series is taught on the mat, with no special equipment needed. To learn more or go to our Workshops & Events Schedule. Infinite Light Center offers Balanced Body Barre classes with Sue Lowitz. Balanced Body Barre is a ballet-inspired workout that does not involve any dancing, and can be done by anyone. You’ll gain core strength and tone and sculpt your body in these fun and invigorating classes. We have several class times to choose from and starting on 12/1/15, you can attend any of our Barre classes as a drop-in or with a Yoga Class pass. See our classes schedule for times.